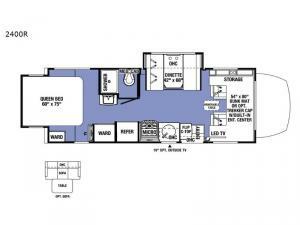 Take this Sunseeker MBS Class C diesel motorhome by Forest River out to the big game and have a tailgate party! Invite all of your friends and enjoy a nice day outside. Bring all of your treats and drinks, store them in the 6 cubic foot double-door refrigerator, and use the flip-up countertop for displaying the treats during the day. 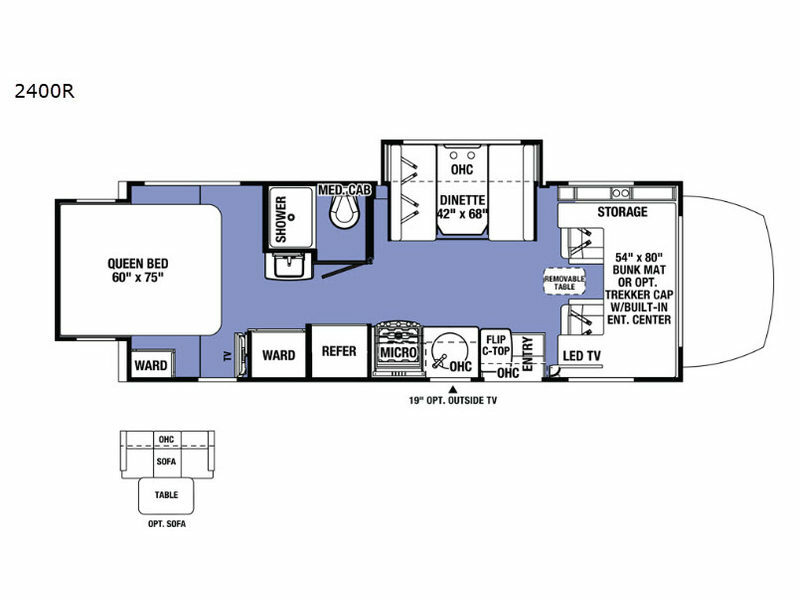 If someone gets sleepy, there are plenty of options for taking a nap, like the queen-size bed that rests on the unique rear slide or the 54" x 80" bunk over the cab.